Jonathan Temte, MD, MS, PhD, is a national expert on and advocate for influenza vaccination. The Department of Family Medicine’s (DFM) Jonathan Temte, MD, PhD, a national vaccine expert, made numerous media appearances this fall and winter to encourage flu shots for all adults and children over 6 months. One of Dr. Temte’s goals was to remind people that despite media attention on Ebola and enterovirus, in Wisconsin, influenza is a much more common, preventable and treatable disease. And even though the Centers for Disease Control and Prevention (CDC)is reporting that some flu virus strains this year appear to be different than the ones in the current vaccine, Dr. Temte still encouraged people to get vaccinated. “These are viruses that are prone to a lot of mutation and can change over time. That’s one of the reasons that we see a vaccine every year, as opposed to measles which you get two vaccines your entire life,” he explained in an appearance on Madison’s WKOW-TV. He added that in Wisconsin, this year’s flu vaccine efficiency rate is close to 74 percent—better than most national rates. Unfortunately, according to the CDC, Wisconsin was 44th in the nation for the number of people receiving a flu vaccination during the 2012-2013 season. But, with increased awareness among patients and stronger recommendations from doctors, those rates could improve. “The single biggest predictor for people choosing vaccination is a strong recommendation from health care providers,” he said in a Madison.com article. As chair of the U.S Advisory Committee on Immunization Practice (ACIP), a group of medical and public health experts that works with the CDC to develop national vaccine recommendations, Dr. Temte has encouraged nasal mist vaccines for children between the ages of two and eight. According to research reviewed by the ACIP, the mist can be up to 55 percent more effective than the traditional flu shot. [The spray is] more effective, has a higher rate of take and reduces the likelihood of influenza compared to the injection,” Dr. Temte told Madison’s WKOW. 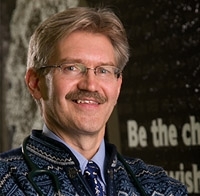 In addition to his position on the ACIP, Dr. Temte leads three research studies: the Wisconsin Influenza Incidence Surveillance Project, the Oregon Child Absenteeism due to Respiratory Disease Study, and the Real-Time Surveillance of Influenza in Ambulatory Primary Care Program. He also serves on Wisconsin pandemic influenza working groups.